A man ended up at the hospital Tuesday after he tried to light himself on fire outside the Trump International Hotel in Northwest D.C.
DisruptJ20 has vowed to try to block President-elect Donald Trump’s inaugural ceremony and inaugural parade. 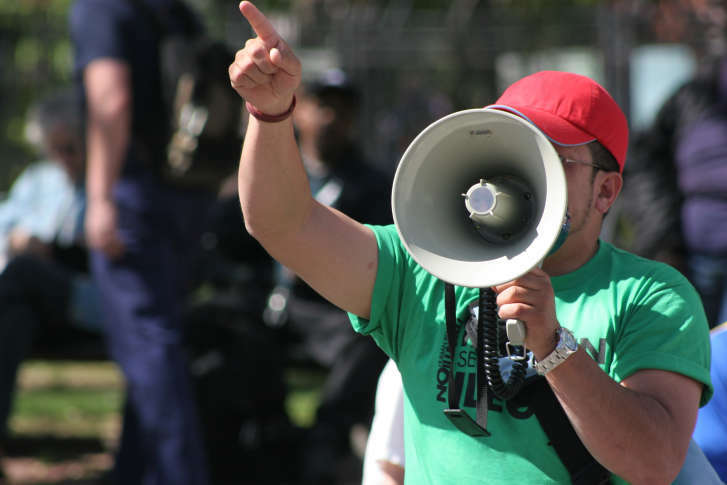 Over the weekend, the group held protest training sessions at American University. 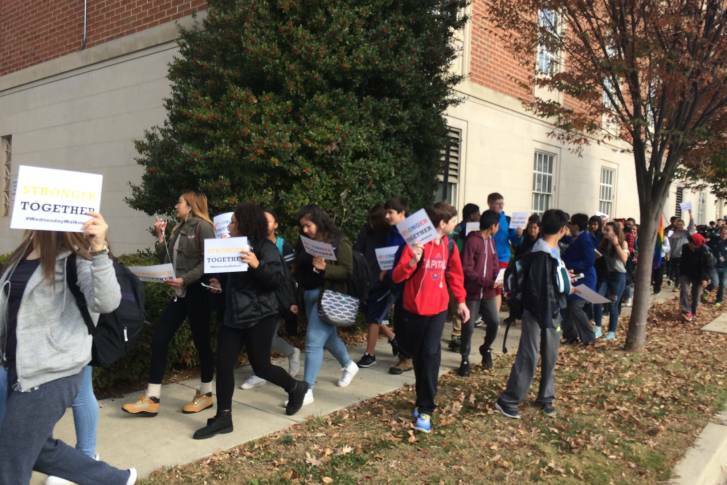 High school students in Prince George’s County, Maryland walked out of their classes on Friday, continuing the wave of student protests aimed at President-elect Donald Trump. 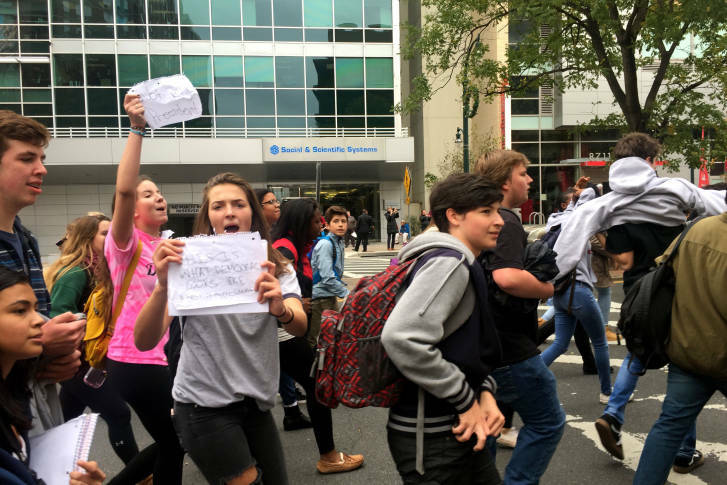 Montgomery County Executive Ike Leggett said students need to realize that if they continue their protests during school hours, they may face consequences. Leggett’s remarks came a day after a 15-year-old Trump supporter was punched and kicked during a student-led anti-Trump protest in Rockville. 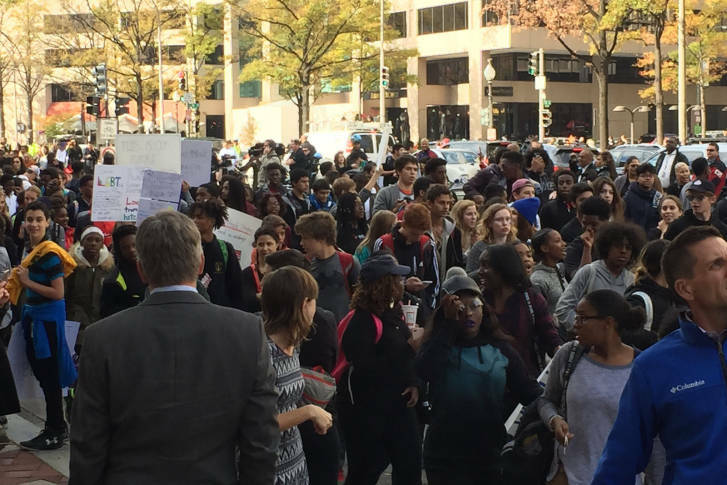 Montgomery County’s schools chief is asking students to stop protesting during school hours — and warning they may face disciplinary action if they continue. Hundreds of high school students across D.C. walked out of class Tuesday in protest of last week’s election of Trump to the presidency. 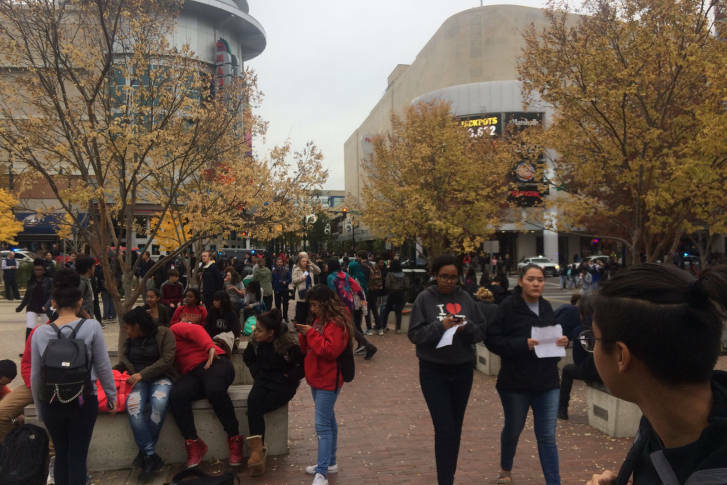 Hundreds of students at Montgomery County high schools walked out of class Monday morning and streamed through the streets of Silver Spring in apparent protest of Donald Trump’s election to the presidency. Protesters in Baltimore and D.C. came out in droves Thursday night to continue rallying against the election of Donald Trump as president. The Republican Party of Virginia reported damage at its headquarters in Richmond during protests against President-elect Donald Trump late Wednesday night into Thursday morning.